On Monday, the U.S. Department of Justice announced that the Research Foundation for the State University of New York (“SUNY”) has agreed to pay $3.75 million to settle allegations made by a number of relators that its Center for Development of Human Services (“CDHS”) violated the False Claims Act by manipulating the audits that it performed of federally funded health care programs in the state. The Research Foundation is a nonprofit educational corporation that administers grants and contracts that are awarded to university research projects by federal, state, and private entities. CDHS is a Research Foundation program headquartered at Buffalo State College, with offices in Albany, Buffalo, Syracuse, Rochester, and New York City. The complaint against the Research Foundation was filed in April 2010 by five of its former employees. The federal government then elected to intervene in the case. The relators will collectively receive $825,000, or 22%, of the total settlement for their role in uncovering the fraud. In 2007, the Research Foundation entered into a contract with the New York State Department of Health to review and report to the federal government information concerning eligibility for New York State’s Medicaid and Children’s Health Insurance Programs. 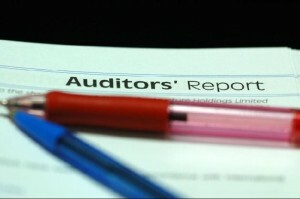 The congressionally mandated audits are known as the Payment Error Rate Measurement (“PERM”) and Medicaid Eligibility Quality Control reviews. They are designed to measure, among other things, any errors made in local determinations as to which New York State residents were eligible to receive Medicaid and Children’s Health Insurance benefits during the period of October 1, 2007 through September 30, 2008. CDHS allegedly manipulated both the audits by prescreening and altering the cases selected for inclusion in what were supposed to be random sample reviews of the eligibility determinations. The manipulation occurred despite the Research Foundation’s express certification that it would fulfill all federal requirements in conducting the audits. The U.S. Department of Health and Human Services (“HHS”) had agreed to pay approximately $3.1 million of the costs associated with the review process. PERM audits are required in order to comply with the Improper Payments Information Act, which provides that the heads of federal agencies must review programs that are susceptible to erroneous payments. The amount of improper payments must be estimated and reported to Congress as well as any actions taken by the agency to reduce the mistaken expenditures. The Medicaid Eligibility Quality Control reviews are the audit component of the New York State Medicaid program. Pursuant to federal law, New York can be penalized for excessive error rates in the authorization of Medicaid payments. While the state’s error rate actually exceeded 20%, the Research Foundation allegedly submitted documentation purporting to show that the error rate was at, or close to, 3%. The maximum error rate permitted by the federal government is 3%. The altered data was therefore intended to permit the state to continue to receive its annual $22 billion in matching funds from the federal government for the Medicaid program. The Medicaid Program, established under Title XIX of the Social Security Act, is jointly funded by the federal government and the states. CDHS submitted false statements pertaining to the reviews to the Center for Medicaid and Medicare Services (“CMS”) through a computer system (the PERM Eligibility Tracking Tool) designed to track and measure Medicaid payment error rates. CDHS also violated the Office of Management and Budget Circular A-21 by improperly charging its contract with HHS for costs that did not benefit the project. CDHS also improperly apportioned time and effort of personnel under the contract, and improperly allocated administrative costs to the contract. The Research Foundation has since adopted enhanced compliance measures, including an appointment of a Chief Compliance Officer to oversee the administration of the activities it sponsors. SUNY’s Research Foundation was previously under fire for using state funds to pay for a “no show” job. In that case, Susan Bruno, the daughter of former New York Senate Majority Leader Joseph Bruno, began working at the Research Foundation in 2003 in a newly created position that was never posted publicly for applicants. Initially, Bruno was hired as the assistant director of legislation relations at an annual salary of $70,000 even though she did not have the requisite degree for the position. The following year, she became special assistant to the president of the Research Foundation, John O’Connor, until she left the in 2009. When she left her job, her salary was just over $84,000. Bruno was an “exempt” employee who filled out a timesheet each month that detailed any absences and if the absences were to be charged to vacation, sick leave, or personal days. For 47 months, however, Bruno failed to accurately document the time away from work for which she was paid. Relying on the certified time sheets and using state funds, the Research Foundation paid Bruno close to $165,000 over the 47-month period for services that were never rendered.